An interesting debate has simmered in the humanities about the relative importance of ‘waste’ in our material and historical imagination. This post has the modest ambition of asking what some theorists of archaeology have said about waste things, about the time waste objects seem to articulate and about the narrative interpretations that seek to chart the comings and goings of things. Having done this short tour about some secondary texts, I want to then compare those statements to a work of installation art that deals explicitly with the archaeologies of waste. The end result, I hope, offers an opportunity to overhear the ways in which the dispersal of waste interacts with the gathering, ordering and reassembly that collecting things enact. Meanwhile, I’d like to advance a temporal reading of waste which permits me to contend that archaeologists assemble time through the collection of things. To collect, to describe, to classify; these are activities that seem to complicate many of the statically terminal attributes (such as valuelessness, inertia, finitude and dissolution), with which objects of waste have been traditionally associated. And yet it is clear that we can collect waste, indeed, the collection of things called waste can play an important role in defining acts of collection as such. Waste, in this respect, shows itself to be an enigmatic presence within the historical record. One of the enchanting and enigmatic aspects of waste is this sense of availability, a temporal openness that helps, paradoxically, to structure its recovery, collection and analysis. Christopher Tilley has written, “the primary event of archaeology is the event of excavation or writing, not the event of the past”, and yet it is a sense of what has past that structures the possibility of framing the eventual, presentation of collected things. Through its end-loaded temporality, the time associated with waste and its lingering sense of postponement makes an important contribution to the presencing of archaeological analysis, making the collection of waste both a measure of archaeological work and a category of thing ripe for describing the aims of that work. Matthew Johnson, in his introduction to archaeological theory, employs an image of waste collection to distinguish the professionalism of contemporary archaeological practice: “What makes us archaeologists as opposed to mindless collectors of old junk is the set of rules we use to translate those facts into meaningful accounts of the past”. This statement entertains some subtle oppositions. Firstly, that archaeology does not collect “junk” because it is a technical discipline able to give closure to what it collects, to make meaningful accounts of historical things. Secondly, and closely related to the first, junk is incompatible with the formation of a coherent record; junk is that stuff which is resistant to translation. Of course, Johnson uses terms like ‘rubbish’ or ‘junk’ to denote semantic incomprehensibility or valuelessness, a familiar rhetorical move that ignores the ways in which we use waste to make sense of and describe the changing value of our environment. Above all, Johnson’s conception of waste reproduces oppositions – between the dispersal and collection of knowledge, between scattered waste things and valuable and preserved artefacts – that obscure the cohering effects of waste and the gathered, recuperative acts of collection. Fig. 1. Ancient waste: 1500 year-old midden deposits, the South Aniakchak Bay Village in the Aniakchak National Monument and Preserve. Photograph courtesy of Buzz Hoffmann. Garbage: 99 percent or more of what most archaeologists dig up, record, and analyze in obsessive detail is what past peoples threw away as worthless—broken ceramics, broken or dulled stone tools, tool-making debitage, food-making debris, food waste, broken glass, rusted metal, on and on. These are society’s material dregs that even those most clever at salvage couldn’t figure a way to use or sell. But ask archaeologists what archaeology focuses on and they will mention “the past” and “artifacts” and “behavior” and “attitudes and beliefs,” but you will rarely, if ever, hear the words “garbage” or “refuse” or “trash” or “junk” (PG, 65). Shanks, Platt and Rathje claim two distinct things here. Firstly, that archaeology is a sophisticated form of waste-collection and, secondly, that those who gather this waste rarely admit to what they ‘really’ collect. Objects of waste are so ubiquitous, and archaeology’s denial of its importance is so prevalent, that Shanks et al are led to conclude; “the material basis of history is an embarrassment to the discipline that works upon it” (PG, 69). Elsewhere, they claim this mixture of embarrassment and self-delusion reflects a wider social vice, specific to how we regard waste in modern times: “There is certainly little systematic understanding of garbage. People don’t really see the garbage—or the implications of the garbage—that they, like everyone around them, generate every day” (PG, 70). To say that “99 percent or more of what archaeologists dig up, record, and analyze in obsessive detail is what past peoples threw away as worthless” is plainly wrong, since it ignores the incidental and accidental creation of waste, as well as the huge archaeological importance attached to votive deposits and funerary relics. However, I take these statements for what they tell us of collecting waste and the timely narration of things; to collect waste is not simply to collect the absent acts that make waste legible but to also consolidate a position in the present. It is the conception of the contemporary, as well as the shifting focus on objects and what those objects stand for, that interests me in this article. Although not a professional archaeologist, Mark Dion’s archaeologically-influenced sculptures help us to critically approach the work of Tilley, Johnson, Shanks, Platt and Rathje to emphasise the narratalogical and temporal issues outlined in my introductory remarks. In particular, Dion’s work complicates the model of collecting that Shanks et al present by suggesting the narrative irregularities that complicate a simply teleological view of waste that “The Perfume of Garbage” describes. There is not a single or uniform trajectory that sees objects move from use to waste but a rich series of comings and goings, a crisscrossing in and out of the projective time of use, where something is for a task measured in time, and the slack, indeterminate and disorientated time of waste, in which objects are no longer thrown towards a delimited future. In one respect there is nothing especially odd, unique or revolutionary about Mark Dion’s collections, they bear a resemblance to the long tradition, of which Parker is also a participant, of using found objects in works of sculpture; incidental and often inexpensive materials drawn together for public display. Dion frequently adopts pseudo-archaeological methods to make his sculptures; works such as Flotsam and Jetsam (The End of the Game) (1994), History Trash Dig (1995), History Trash Scan (1996) and Raiding Neptune’s Vault (1997) show Dion drawing upon different and diverse archaeological methods, collections and collectors to organise his work. Tate Thames Dig (1999) has a lot in common with these works: it is a piece that collects, sorts and displays objects to enact both the history of museums and to criticise how this history has taken shape. It collects and manufactures an archive. The archaeological methods that Dion adopts to assemble this work are distinctive. 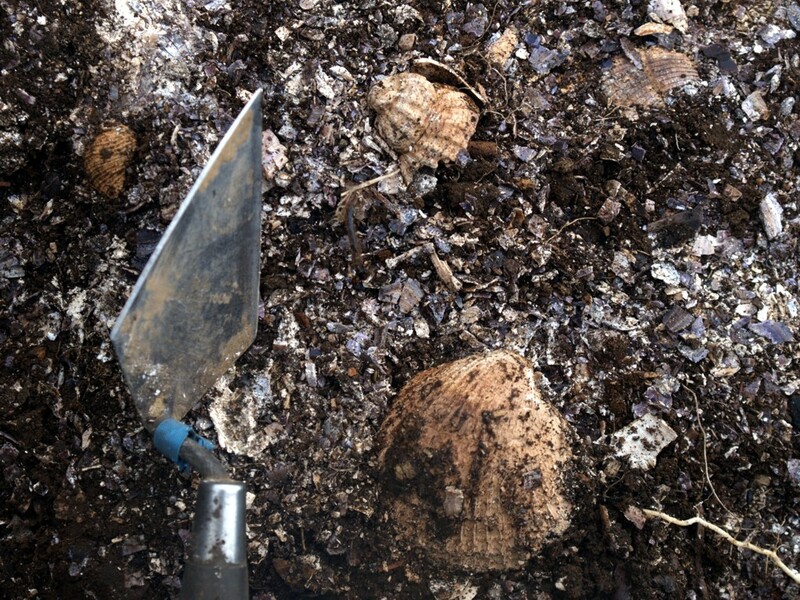 The artist spent two weeks with a team of invited archaeological experts and volunteers beachcombing two sites on either bank of the river Thames. These sites, both of them close to London’s city centre, were chosen in order to gather any material that tide or wind might make available. It is a site-specific work but the materials gathered at each site were not easy to predict. The finds are remarkable for their variety: bottles, shards of glass, plastic and iron, buttons, teeth, bones, identification and credit cards, clay pipes, toys and pottery. Video of Mark Dion talking at the CCA Graduate Studies Lecture Series. Recorded on October 15, 2009. Timken Lecture Hall, San Francisco campus. Relevant section at 33-43 minutes. Tate’s internal reports, circulated prior to the formal acquisition of the piece, stress the work’s strong connection to human activity: “The two sites yielded a wide variety of artefacts and remnants, tokens of life as it has frequented Millbank and Southwark.” Objects were cleaned, identified, catalogued and ordered according to type, weight and colour, and arranged within a large, double-sided cabinet of curiosities – a container with strong allusions to eighteenth and nineteenth-century traditions of excavation, collection and display. Below the work appears in situ (Fig. 1), on the third floor of the Tate Modern where it stood from April 2003 to October 2005. Fig. 2. Mark Dion, Tate Thames Dig (1999). Mixed media,unconfirmed: 2660 x 3700 x 1260 mm, installation view, Tate Collection, London. Photograph courtesy of Tate. Dion’s collection provides an interesting counterpoint to the archaeology of waste and its recent theorisation. Much of what Shanks et al claim for archaeology depends upon a particular relay between use and waste, deposition and recovery, on an object being used and deposited by one person and that same object being collected at a later date by a collector or archaeologist. For them, the biography ascribed to things is a relatively simple and inevitable one; all things go to waste, all reach the terminal point of the discarded. Objects are used and then used no longer; they become waste and are then available for archaeological assessment. Although the utility of a thing can be various, the trajectory towards a condition of waste is common to all; everything the collector collects are “society’s material dregs that even those most clever at salvage couldn’t figure a way to use or sell.” A view shared by Gavin Lucas: “what archaeologists mostly excavate is what people deliberately did not want, or discarded – their garbage.” This universal, unilinear narrative stabilises objects and gives a measure to the time distributed to them. This coordinating function of waste, which gathers diverse yet distinct things towards a common end, is most clearly seen when the authors discuss the spatial and temporal effects of junkyards, which “compress space and time into a single point— artifacts from different times and places are brought into one location, to be (re)discovered” (PG, 79–79). Such is the organisational potential of the junkyard that, despite gathering objects that are associated to various times and places, the common condition of waste compresses these differences within “a single point”. For Shanks et al, waste seems reducible to these sites of spatial and temporal termini or, put another way, as things that have no future. Implicit in this account of waste and its collection is the sense of narrative closure and compression already at work in waste. The biography of things mimics a common structure, with a beginning (manufacture), middle (use) and end (waste). The causes, the durations and the methods of narration might remain variable but waste is the familiar fate of all things. And yet Dion’s work militates against a simple correspondence between spatial and temporal sites, turning loose the narrative certainties that might give absolute coherence to collected objects. This is partly a function of the tidal river from which he drew his material. As Milne, Bates and Webber describe, river sites, especially those on tidal rivers, provide a changeable and unpredictable relationship between various sites, those that discard and those that collect: “a river system and its associated settlement structure is part of a dynamic equation, with no constants.” Corroborating this dynamicism, Robert Williams argues that Dion’s excavation of tidal beaches “confounds and challenges archaeological method, in that it is impossible to recognise a true stratigraphy. Even if the foreshore is considered to be an horizon, this co-existence of objects defies easy categorisation.” To draw an example directly from Tate Thames Dig to illustrate this point, the ‘message in a bottle’ found in the upper left-hand drawer of the Bank Side (Site II) is certainly an object that has been cast aside. But a part of its worth issues from the fact that it has been thrown into the river. The bottle’s communicative function is achieved through rather than in spite of its recovery. The places and times that it associates do not cohere to a particular point, whether construed as the site of excavation or the cabinet itself; instead, the bottle’s significance through space and time depends upon a continuity of movement. This is a crucial aspect of waste, its structure of contradiction; the collection of waste does not necessarily make smooth its irregularities or make sequential the ruptures of its temporality. In later sections of this chapter we will consider how the dubious continuity of waste extends into Dion’s archive, as remains that are not guaranteed to remain. Defining precisely what has and has not been discarded can be a complicated and uncertain process, since, as we have seen, deposition can be practised for an enormous range of different and combined reasons. The sheer range of reasons that an object becomes available for collection allows John Chapman to label the equivalence between waste and the discipline of archaeology a “key foundation-myth”. Chapman argues against the idea that archaeology is a formalised collection of waste for the simple reason that people, past and present, do not discard every object that makes up their lived environment. Dion’s cabinet attests to this variation; even those things that seem most likely to have been discarded items – such as fragments of pottery, plastics, glass or animal bone – were not necessarily deliberately thrown away as worthless. These fragments (see Fig. 3) speak of the medial events and processes that affect the condition of objects and their elliptical ability to communicate those medial occurrences. Moreover, erosion by salt water, oxidation and abrasion against other objects all suggest the non-human actions that affect how an object appears. Whilst judgements are dominated by and made intelligible through a series of retrogressive narratives, ‘this did that, that did this’, it might be argued that Shanks and his co-authors make all of these narratives follow a familiar and orderly pattern, a unilinear movement from the action of use to the conclusion of waste – a one-act play with a definitive finale. Fig. 3. Mark Dion, Tate Thames Dig (1999). Detail, Tate Collection, London. Photographer unknown. Dion’s work demonstrates that the narrative permutations that objects undergo are far more complex. There is no simple correspondence between the status of what is collected and the category of waste other than the rather painstaking and conditional acts of narration that reconstitute the effective qualities of things in time. The difference, then, so keenly felt with a work like Tate Thames Dig, is a sense of narrative risk, of provisional tales told through things that are open to assessment from a variety of perspectives. Dion’s materials find a churning and arbitrary taxonomy, wildly heterogeneous in content. The formal collection of waste in this work does not necessarily translate into a correspondingly formal, semantic coherence. Shanks et al, through their unidirectional understanding of how useful objects become waste objects overlook how things take meaning by oscillating between times of use and waste. In a sense closer to Dion’s work, the risky narratives told by things confuse the distinction between use and waste: what have these objects done, what remains for them to do? I would like to propose that the objects assembled in Dion’s cabinet are the site of competing and mutually exclusive acts of narrative interpretation which attest to the variety of times and tenses to which an object can bear witness. Although objects collected by Dion share common properties, uses and temporalities, these can just as easily transgress group consensus about what they are, do, did and were, as they can give grounding to a shared sense of understanding between individuals. Important here is the question of how and why these narratives are being expressed and not to assume that waste objects are equally recognisable to everyone that comes into contact with them. Although we might not agree about what was, is or is not an object of waste, our engagement with things does require a form of empathetic thinking which must question what an object was for, a backstory, a network of past associations, an appeal to a kind of historical ideal. The hypotheses and contingencies at work in these multiple acts of re-enactment provides yet another reason to be suspicious of too rigid a division between acts of deposition and collection – transgressing this division, by finding links between, might prove fundamental to comprehending objects of waste and their movement through time. These traditional views are maintained among some contemporary theorists of waste, encouraging John Scanlan to describe waste things as “dead matter”, see On Garbage (London: Reaktion, 2005), 99, 142, 168. Christopher Tilley, “Interpreting Material Culture,” in The Meanings of Things: Material Culture and Symbolic Expression, ed. Ian Hodder (London: Harper, 1989), 192. Matthew Johnson, Archaeological Theory: An Introduction, 2nd ed. (1999; Oxford: Wiley-Blackwell, 2010), 7. Italics in original. Michael Shanks, David Platt, William L. Rathje, “The Perfume of Garbage: Modernity and the Archaeological,” Modernism/Modernity 11, no. 1 (2004), 67. Hereafter cited as PG. William Rathje and Cullen Murphy, Rubbish! The Archaeology of Garbage (New York: HarperCollins, 1992). The Garbage Project was established in the 1970s by Rathje and his associates. It represents one of the most widely publicised attempts to excavate contemporary landfill sites, as well as less official dumping grounds. Guided by the principles of behavioural archaeology, Rathje and Murphy describe contemporary consumerism through the excavation of discarded materials. Also see William Rathje, “The Archaeology of Us,” in Encyclopaedia Britannica’s Yearbook of Science and the Future: 1997, ed. Charles Ciegelski (New York: Encyclopaedia Britannica, 1996), 158–177. For some concerted efforts to address the importance of waste in archaeology, see Ian Hodder, “The Meaning of Discard: Ash and Domestic Space in Baringo,” in Method and Theory for Activity Area Research: An Ethnoarchaeological Approach, ed. Susan Kent (New York: Columbia UP, 1987), 424–448; Stuart Needham and Tony Spense, “Refuse and the Formation of Middens,” Antiquity 71 (1997): 77–90; Louise Martin and Nerissa Russell, “Trashing Rubbish,” in Towards Reflexive Method in Archaeology: the Example at Çatalhöyük, ed. Ian Hodder (Cambridge: McDonald Institute for Archaeological Research, 2000), 57–70. For more recent developments in this tradition see Jaimey Hamilton, Uncommon Goods: Global Dimensions of the Readymade (Bristol: Intellect, 2012). 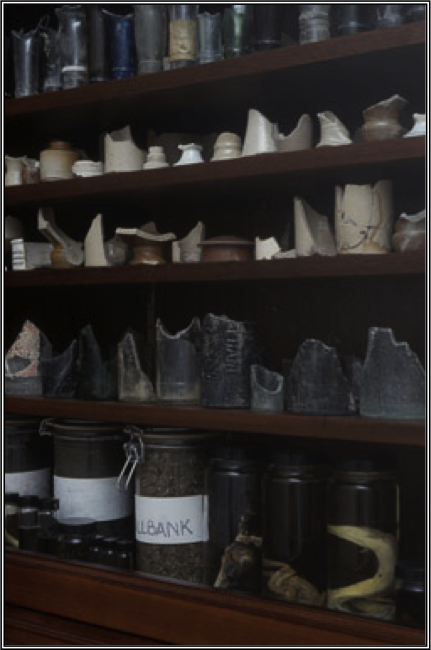 Robert Williams, “Disjecta Reliquiae: The Tate Thames Dig,” in Mark Dion: Archaeology ed. 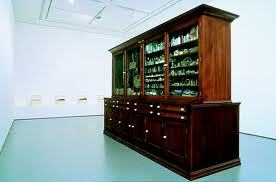 Mark Dion and Alex Coles (London: Black Dog, 1999), 79. “Works for Consideration,” March, 2000. Dion, M., Acquisition File. PC10.1. Tate Archive, London. Gavin Lucas, The Archaeology of Time (London: Routledge, 2005), 128–129. Gustav Milne, Martin Bates, Mike D. Webber, “Problems, Potential and Partial Solutions: An Archaeological Study of the Tidal Thames, England,” World Archaeology 29, no. 1, Riverine Archaeology (1997): 131. Robert Williams, “Disjecta Reliquiae: The Tate Thames Dig,” 75. Ian Hodder writes of the conceptual and methodological problems this causes archaeologists: “there can be no general theory and no universal method of measuring and interpreting activity residues, except in relation to physical, nonhuman processes of decay and deposition”, Hodder, “The Meaning of Discard: Ash and Domestic Space in Baringo,” 424. John Chapman, “‘Rubbish Dumps’ or ‘Places of Deposition’? Neolithic and Copper Age Settlements in Central and Eastern Europe,” in Neolithic Orkney in its European Context, ed. Anna Richie (Cambridge: McDonald Institute for Archaeological Research, 2000), 349. This is an empathetic form of narrative engagement close to R. G. Collingwood’s theory of historical re-enactment, the significant difference being that an engagement with waste requires a narrated past and a material continuity, as well as a greater concern with the non-human past. See R. G. Collingwood, The Idea of History: With Lectures 1926-1928, ed. Jan van der Dussen (Oxford: OUP, 1994).